What did people think about This Is Not A Gateway? Below is a collection of testimonials received 2010-2014. "statement, declaration," also "writing testifying to one's qualification or character," early 15c. (from Old French testimonial, variant of tesmoignal), short for letters testimonial (see testimonial (adj.)). Meaning "gift presented as an expression of appreciation" is from 1838. I thought the content was really amazing, different and innovative. I thought it was challenging in a way that few other events are, because truly other/different viewpoints were presented. To my knowledge TINAG is unique. I am quite new to many of the themes discussed and went because I was inspired by programme. I was really impressed with the atmosphere of focus and passion with courageous speakers and topics that are usually not spoken of so openly within mainstream AND what's deemed to be grassroots. I thought this event was truly unique, I work in the arts and often I am very bored with the same people doing, saying, performing the same things. This was different and truly inclusive and diverse, tackling some uncomfortable issues. I also really like that the ethos of the organisers is to allow space for the contributors, that the festival isn't a platform for them to promote themselves or their careers, but that issues and other people's perspectives take centre stage. I also liked that you had a creche/kids space. The framework I found to be uniquely ambitious and challenging - quite unlike any other 'cities' themed conference program I have heard about or attended. It was refreshing to hear critical perspectives, voiced often by people directly representing groups who would either not usually get a hearing at such an event, or who would be spoken for. I found there to be a sense generally of openness and camaraderie among festival presenters and attendees. Given the sheer quantity of events, many simultaneous, it was also impossible to get to everything. I look forward to seeing the presentations online - and would also like to share the content with colleagues and friends based in other countries who couldn't attend. I hope funds will be made available to realise this next step! The speakers and artists were at the outset unknown to me and I was uncertain about some of the themes. Lacking any specific expectations here turned into one of the most rewarding aspects of the program for me, as I encountered so many new perspectives, groups and personalities that would otherwise have remained hidden. The presentations I attended where really useful and valuable in broadening my awareness of the issues and enabling me to join the dots to my own experience. Left feeling I had learned a lot. The audience / presenters where from many different backgrounds. Often when I attend conferences / seminars etc around mental health issues they are anything but. The festival is needed and important because it offers increases awareness of issues which affect us all but are often out of most peoples awareness so are not considered discussed or questioned. The festival was/is very much needed as the topics it deals with and creates space for discussion are very much marginalised in the established and often in the grass root spaces as well. All fantastic! Beautiful building, friendly attendees. So needed! I didn't feel there was any sense of exclusivity, which I've found in spaces/events organised to address such themes. The young people I brought with me really loved it. Crucially important to develop paradigms of thought that are outside the norm and seek new answers and ways of thinking/ acting/ activism. The atmosphere and conversation were excellent and inspiring. Amazing variety of events and speakers, really engaging and thought provoking. I liked the fact it was open and free to everyone. Although the topics seemed really academic they were shared in a really accessible way. The speakers were interesting, welcoming and mostly pretty accessible. It was excellent. Very friendly atmosphere with smiles on the welcome desk. Very needed. Illuminating themes and ideas not usually heard. This year’s festival had a good variety of workshops, so many that I was not able to attend all the ones I wanted. The approach of the festival was unique in its choice of theme, I had not been to anything like it before. The programme had a wide variety of participants and this made for great conversations and varying insights. Definitely very needed. Without these kind of events many people would not have the opportunity to inform themselves about such an important topic and actually do something about it. Very welcoming and inclusive without compromising on criticality and difficulty in a way that many 'accessible' events do. Went to some really great things with contributions from people who I haven't heard from before. Range of participants was great. Its independence made it a much more enticing, and trustable, event. Very informative, highly critical of normalised political positions; passionate. Great atmosphere. Good discussions that don't seem to make the mainstream left agenda. Felt a lot of important discussions were had, and voices that are often marginalised were able to be heard. There was a good variety of events and exhibitions with different approaches and perspectives. Good programme, interesting questions posed, eclectic mix of people, enjoyed the exhibitions, cafe and pop up/venue very good.. Well organised. Informed/intelligent/hospitable atmosphere. The festival was extremely positive, informative, and transformative for me. I took part both days from beginning to end, and I'm only sad that this is the first festival for me, and the last organised by you. Such events are all too rare! I loved the festival. I really wish I had known about it the previous years. It was really stimulating in terms of bringing to the fore the need to engage in issues of social justice, above all others, in my view. Engaging and engaged, brave, important and courageous. It was essential! It was mind blowing! I thought it was a fantastic event all round. The choice of speakers and themes was fantastic and I'm struggling to think of a session which didn't give me pause for thought. Very much needed and very much appreciated. I thought it was amazing and felt kind of sad that it was the last one as it was my first. It is very important to have such a platform for people and issues that don't have a voice otherwise. Atmosphere and approach were really refreshing. I was very much engaged by the critical approach which moves beyond the somewhat tired, rather hypocritical mainstream academic model. Also related to this point, i was pleased to see a real diverse range of backgrounds of presenters as well as participants. I don't know of anything quite like TINAG. Thank-you so much for all your hard work and inspiration. Great event with interesting sessions - Important to give a voice to those not often heard. Great, really critical & important themes. super important and most often largely neglected themes in the festival. 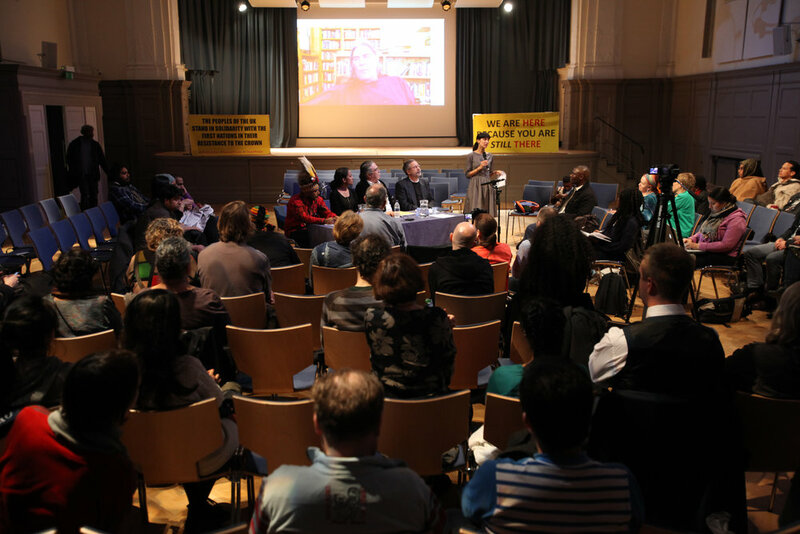 A very friendly atmosphere … the programme was varied and the talks and exhibitions touched upon different salient issues in the city and beyond. Important themes, interesting programme, calm atmosphere and great participants. Very much needed, brought important but overlooked issues into the forefront of discussion. It was a little more difficult to predict what an event was about before being in it than I'd usually expect. Everyone was welcoming and the speakers were inclusive. Great Atmosphere. Great range of participants, strong grass-roots focus and some good theory too. Needed more than ever. We still need it! The atmosphere was great and lectures and film I attended were excellent. I loved it. It has been a long time since i was in an environment where things that are usually hidden from view could be spoken about. It was the best festival in that sense for me. Good atmosphere, thoughtful programme, good mix of attendees. Still very much needed as there are almost no forums to discuss alternative urbanisms. It is a very important event, it tackles on many cases that should be discussed by the public. I think that is really important ...bringing people together who otherwise might not. Yes very important. There are very few opportunities for those not in academia to access this kind of event and share thinking, knowledge and strategies in this way. I value what TINAG does very highly -­‐ especially the democratic/open ideals behind it. It is an event of many different disciplines and independent off any corporations. I will do my best to contribute in the future for it to continue. Super important -­‐-­‐ really great and unique! I think the festival is important, there really is not anything like it. Would like it to have more exhibition / performance based work (has good to see Mark McG's Taxi videos all in one place, though did not have time to sit down there). So I do hope you go from strength to strength and keep it as free as you possibly can. Many thanksI loved it! Yes , it important , everyone should be aware what is going on in the world and why. I think though small, the Festival is an intellectually and politically honest way of addressing a lot of issues which either only get talked about at academic conferences or in 'activist' or grassroots settings. Viva TINAG! It is needed more than ever. I can't wait for the next one! The festival is VITAL and UNIQUE. It open perspectives, widen our horizons and make people think and look differently at the world they live in. It reveals how everything is interconnected and how we can act daily by thinking responsibly. Just an ace event. More speakers next time! It's a great idea in a great space. Yes, the festival is important, it is also important to be free. Some other form of subsidy has to be invented than entrance fees. I think the festival is a great contribution to a much needed critical discussion about how cities are planned / built / governed / changed and how community groups and individuals can make a difference. It's an interesting concept that provides a different atmosphere to many "activist" meetings. i'd def return another year. I think TINAG is a necessary component of our cultural need today, to inspire contemporary thinking on the city, and provide a space for dynamic ideas be shared amongst fellow people with an interest in their cities. It's pretty unique in London as an event looking critically in a cross-­‐ disciplinary way at issues about economic and global issues. Also the wide range of interaction (talks, films, workshops) and the fact that it's been free makes it very accessible. the festival is definitely needed and important, because of the relevant social issues it addressed and because it was accessible for everyone. The TINAG festival is definitely needed. It's critical voice and open approach is rare today. It's DEFINITELY NEEDED. and DEFINITELY IMPORTANT. There is nothing similar out there that I know of. I found the whole thing intellectually stimulating. It hasn't happened for a long time. It made me think about what I could do to make my actions more effective. There should be more TINAG everywhere. More festivals like TINAG, more days of TINAG, more spaces like TINAG. It is very important to keep a critical spirit alive and it serves as a base for discussion as the book shows. Looking forward to next year! Great program, beautiful and productive space! Great programme, very interesting selection people and issues. The atmosphere and the approach are really informal and friendly, but at the same time you can find people seriously engaged and passionate. This aspect lead to very critical discourse. A wide variety of events. Very well organised, in a quiet, understated, yet professional way. I felt very included. The atmosphere was respectful towards different views etc.. The exhibitions were interesting and varied. Loved it -­‐ very good atmosphere, friendly and approachable, excellent venue. Always something on to see/listen to. I absolutely loved the festival. The atmosphere was great, although I had a hankering to make it more festival like, perhaps with the addition of some poetry, comedy and/or music, maybe an evening gig or open mic session. I found the programme full and varied, but would have liked some scheduled breaks to chat more and meet people. The participants that I met all seemed great and I was pleased to meet people who had been opposing the Olympics and people from the occupy movement etc. I was also particularly moved by the talk about the Idle No More campaign and meeting Sylvia from Turtle Island. The exhibitions were great too. I really enjoyed watching some of the Taxi Driver. Driver’s films though. I was very inspired by the whole festival and although hard up stumped up the cash to buy a book. It was very well organised, very welcome and a good atmosphere. Very good atmosphere, amazing diversity of issues discussed. I thought the Bishopsgate Inst was an excellent venue in many ways -­‐ calm, spacious, good facilities-­‐ and it was good having a cafe/ exhib space/bookshop for people to get together and chat! Amazing venue! It's nice to have an inclusive festival, not dry and regulated, but sometimes felt a bit 'off-­‐topic'! Absolutely brilliant! Just so upset that I missed the Saturday. Wish I'd heard about it before the Saturday evening -­‐ perhaps you could have teamed up with different organisations to get the word out about it. Brilliant. Intimate talks in rooms which felt like living rooms -­‐ perfect environment for critical debate! Really positive, constructive and collaborative. Was diverse in content and presentation, with interesting debates. Am looking forward to seeing some of the contributions in Critical Cities Vol 4. It may be an idea to make some of the presentations available on the Tinag website for those who could not attend and give them an opportunity to respond. I think it is great forum for sharing ideas about cities/communities, the location was very good as it had different spaces with different content and a real festival spirit amongst the bookshelves in the archive, corridors with displays and rooms where discussions took place. All round an amazing experience. The only downside was that it was impossible to hear all the interesting talks as they where happening simultaneously but such is the nature of festivals. I think TINAG is a fantastic space for the bringing together of minds on the subjects that matter today in the contemporary city. 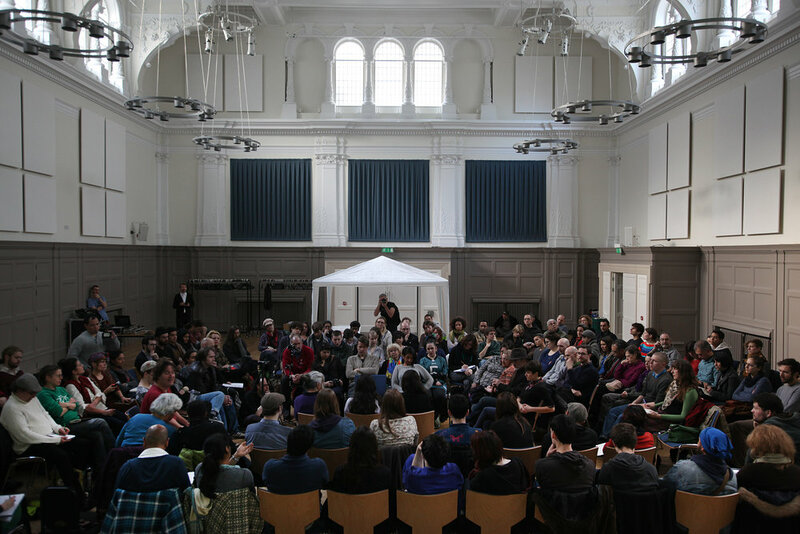 The atmosphere was relaxed and inviting and the Bishopsgate Institute was a great host. The programme was diverse, and I especially liked theinclusion of artists work alongside the film and more 'formal' discussion/talks. Overall a fantastic and unique event to have been part of. Good atmosphere, great programme. The Bishopsgate venue was very comfortable. Was good to have a cafe/break out space. Atmosphere was nice and relaxed, approach was good and critical. Great talks, wide range of speakers. Cafe was really nice as well. Great atmosphere, interesting programme, good exhibitions, nice cafe. I thought it was amazing. I liked everything I attended. There participants were excellent, good speakers and who inspired action. The food was good but a bit bready. I did not dislike anything I saw or heard or the organisation of it. I think was there was almost too much going on for a single day. Maybe less is more. Great -­‐ venue excellent, bookshop had some good offers, exhibitions good, participants like Sylvia Mcadam, Gary Mcgrew and Hamja Ahsan were amazing. It was fantastic. The programme was very rich, touching upon many different interesting subjects. The space for exchange was an essential part of it. Truly wonderful. I received many really nice comment on several conferences of people that came to see me and attend to some of them. For me was a really nice experience, as space in time to talk freely about thinks that matters. The festival served as a very good meeting point for critical people to numerous topics. The Bishopsgate Institute was just a wonderful location to host the different events. It was a very exciting experience for me! A precious thing -­‐ distilling anger into action. I parted with renewed hope. Talks and conferences were really amazing. I liked them because the festival is extremely local, but at the same time global. Specific themes can be understood by everybody. It was great to meet like minded people at such a creative event. I liked the dynamic feel the festival had. It didn't feel as if you were a passive participant. Great speakers, really interesting topics, really important/unique philosophy and viewpoint of the festival. I wanted to participate because I had enjoyed the events I went to in 2010 festival -­‐ I agree with your ethos thought the people turning up were prepared not just to listen but to speak and critically evaluate. I like the 'it's what you make it' ethos so I wanted to be part of it and I'm really really glad I did! Everything really and because you are simply exceptional. The philosophy of the organisation and the critical programme plus speakers. The programme as a whole and an interest in critical thinking and perspectives on urban development. List of speakers and the generosity of this being a free festival with a wide range of critically sharp debates about the urban environment and cultural, social, and political contexts. The whole festival was thoroughly thought provoking. The ideological approach across all the mediums is a very honest and rare quality. The selection is spot on, timetable very rich and the quality is everywhere. The festival was really interesting; very good art there, difficult to see in the crush. I do think TINAG is pretty unique ... a packed programme of such quality and cross-­‐disciplinary contributors. The festival is now one of the most important events on the cultural calendar. TINAG festival provided a much-­‐ needed platform for critical thinking and action within the professions/disciplines of the built environment. TINAG and the festival are vital. I feel uplifted from the weekend. Amazingly well organized, full of interesting people ... an important rigorous discursive event! I came away simultaneously exhausted and over-­‐stimulated from all the ideas and interesting people. Enjoyed it, large audience; interesting bunch. Still thinking about talks and people. Excellent, interesting, diverse, interesting programme. Very thoughtfully curated. Fantastic, really packed with people who wanted to share ideas and listen. I found it thought-­‐provoking and inspiring. Rich, open minded, multi-­‐disciplinary, efficient, focused, intelligent, honest, unique. Very constructive; a pleasure, the new kind of organisation we need. Very interesting, varied and stimulating event. Very well organised and interesting programme. Successful ... welcoming, friendly and inclusive but still critically rigorous. Enjoyed it very much. Challenging yet comfortable. Very well put together. Very fulfilling and inspiring. All the sessions that I attended were brilliant. This is an amazing platform for independent discussion. Each year gets better than the last. Great initiative. The programme was amazing! Seemed very well organised! It was very stimulating, attended by knowledgeable and engaged people from all walks of life and most of them with a personal commitment to develop alternative approaches. Great to see such a broad spectrum of ideas and perspectives of the city from a variety of sectors and backgrounds. Was refreshing to be amongst so many unpretentious people willing to be open to new thoughts and learn! The place in London where the chances are high to meet people that can push one’s ideas and understandings further. A very interesting alternative to existing dictated cultural forms. You could see people reflecting on their own thoughts, approaches and experiences. People in and out of the sessions seemed eager to share and listen. Everything I saw was great, from the opening evening to the final session I attended. The welcoming and relaxed atmosphere was wonderful. The atmosphere was great, I hope the festival continues for many years to come! Thoroughly enjoyed it,and great atmosphere of friendliness and enthusiasm. Opening launch was fantastic. Venue was terrific. Speakers were good! Each of the discussions, exhibitions and presentations I attended was interesting, engaging and thought provoking in a different way. It was a great space to meet and listen to interesting people from all over the world. It was intellectually stimulating and thoughtfully organised, bought together a range of people in an open, democratic and unpretentious space; an environment of sincerity. The informal and friendly nature, the passionate and critical discussions across disciplines, cultures and everyday experiences are invaluable. I found the diversity of people attending particularly great. The mix of people from different ages and with different professional backgrounds was great. On the whole, I just loved it! 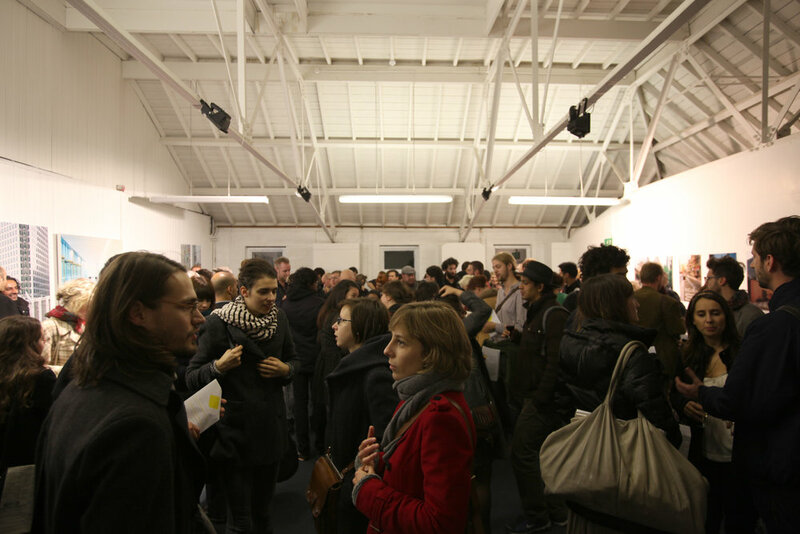 I thought it was a really nice atmosphere, and everyone who was attending was totally interested in the programme. There is no other event of this kind, anywhere!